Once you have enabled Sigstr’s HubSpot Integration, you can track unique landing page visits, contacts gained, and customers won within HubSpot. Backed by data, you have visibility into the overall impact Sigstr has on your company’s marketing objectives. One of Sigstr’s main analytics features is the ability to tell you which email recipients have clicked on your Sigstr campaign banners - aka recipient analytics. Recipient analytics are tracked in the native application automatically, but with the HubSpot Integration, recipient analytics are pushed directly into your HubSpot environment. If one of your HubSpot contacts has clicked on a Sigstr campaign banner, that activity is tracked in the same way as any other engagement. You can even create new contact profiles based on Sigstr engagements. 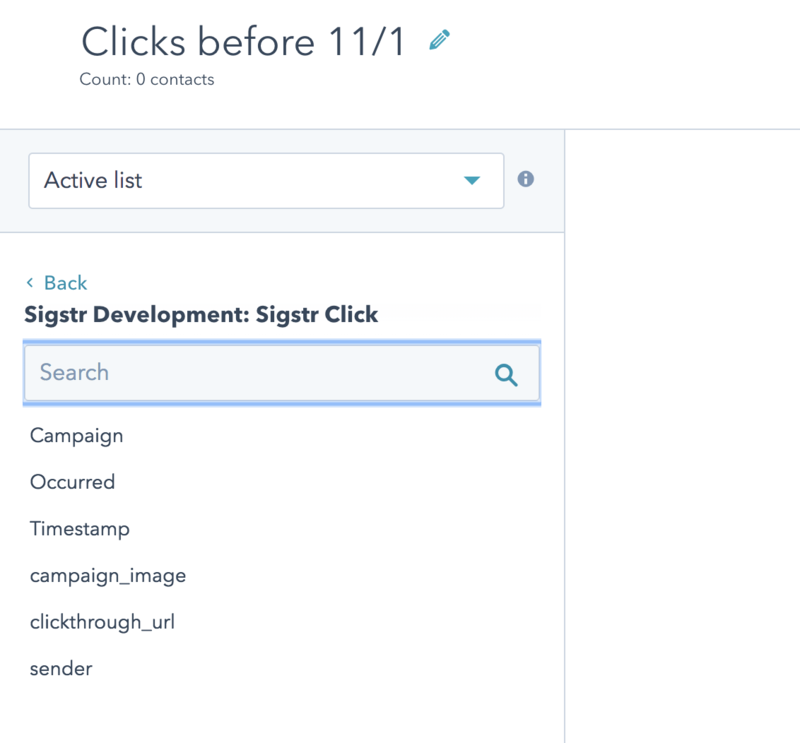 To see how clicks are tracked, navigate to individual contacts in HubSpot to see if and when the individual clicked on a specific Sigstr campaign. If you'd like an aggregate view of who has clicked on your Sigstr campaigns, you will need to create an Active List. 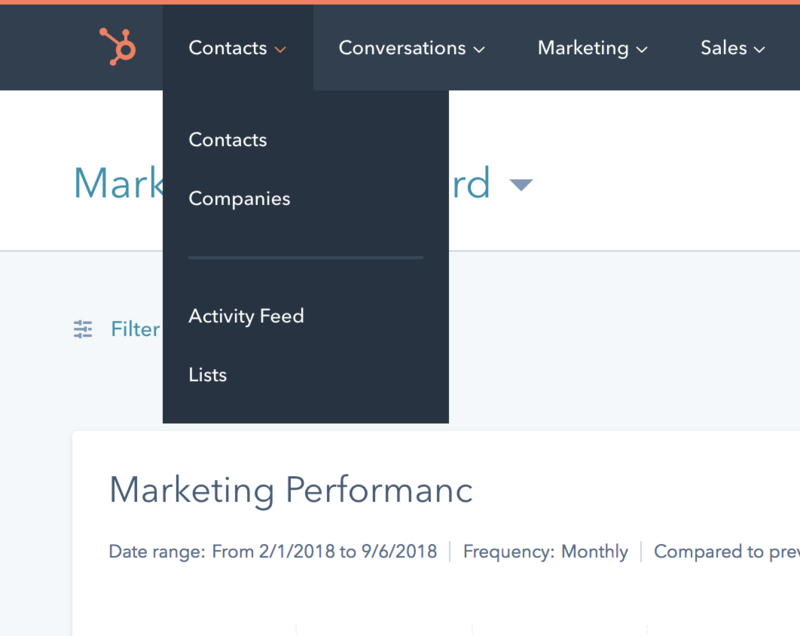 Login to HubSpot and navigate to Lists via the Contacts drop-down. Within the filter list, click on the Sigstr Click property. 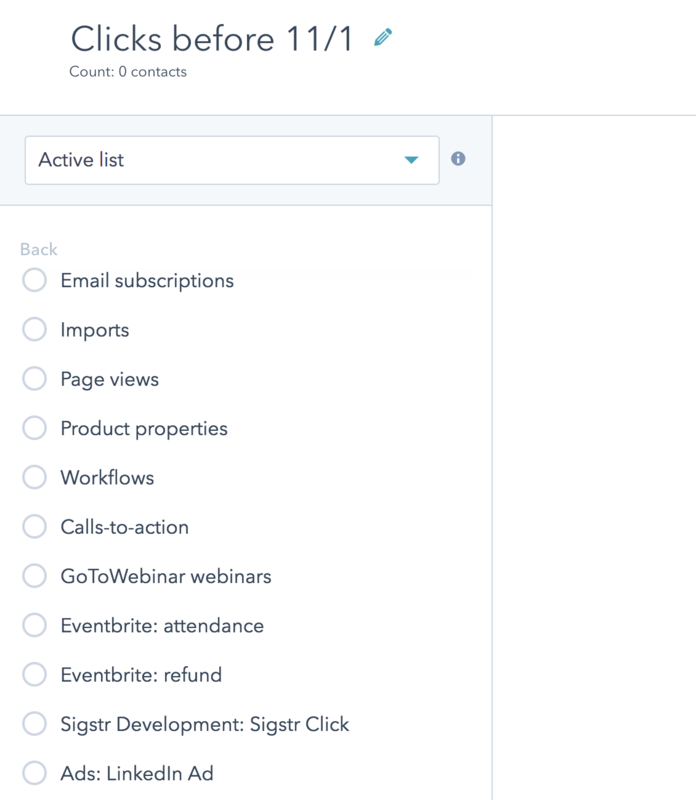 Use the drop-down menu to filter your HubSpot contacts based on Sigstr engagement. You have a number of different filtering options. The two most common are Occurred and Campaign. Use Occurred to filter the list to clicks within a specific time frame and use Campaign to filter the list to clicks on a specific Sigstr campaign. Apply the filter. Make sure your list is named and click Save. To optimize your Sigstr ABM efforts, consider aligning those in your list to a new Sigstr ABM campaign via a HubSpot Workflow.